You can contribute directly to the care of our amazing animals. Visit the Frost Science Amazon Wish List to see a registry of crucial items we use in the daily care of birds and other creatures. 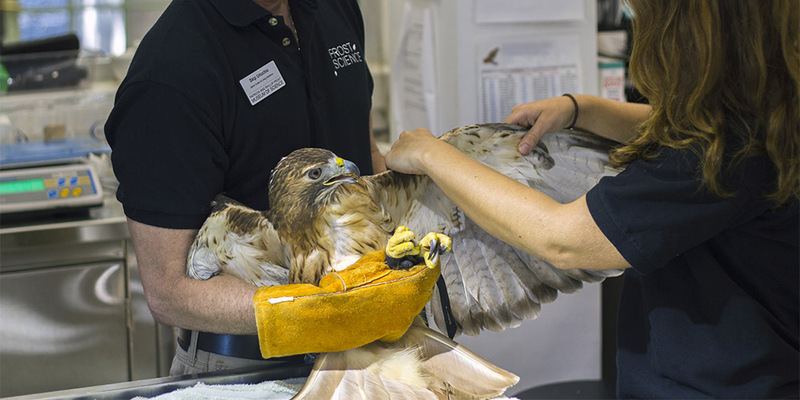 The museum’s Falcon Batchelor Bird of Prey Center operates seven-days-a-week and our staff cares for hundreds of animals. In fact, last year we took in 800 birds and had a release rate of 40% for birds of prey, but we can’t treat any of these beautiful animals without your help. By purchasing an item from the registry, you are directly supporting us in our efforts. You can make purchases via your own account and have them sent directly to us. To browse the Amazon Wish List, click here. Please include your name, address and email when checking out so we can send you a thank you letter. For tracking purposes, you are welcome to forward your purchase confirmation to donate@frostscience.org so that we can update you on its arrival. Your generous in-kind gift is not a tax-deductible contribution.